John Paul Jones bought the 1962 Fender Jazz Bass that was his primary instrument in Led Zeppelin for $250 at Len Styles Music shop in London and used it on most of the sessions that he was in from 1962 to 1968. Some time in the first couple of weeks on the first Led Zeppelin US Tour, the Fender Logo bridge cover came off. 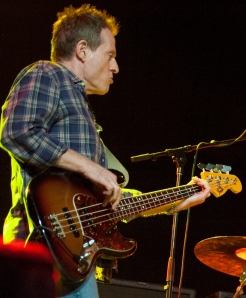 Jones continued to use the Fender Jazz Bass through the recording of Presence. Said Jones in 1977: "I used that bass up until the last tour, and then she had to go. She was getting unreliable and rattling a lot."